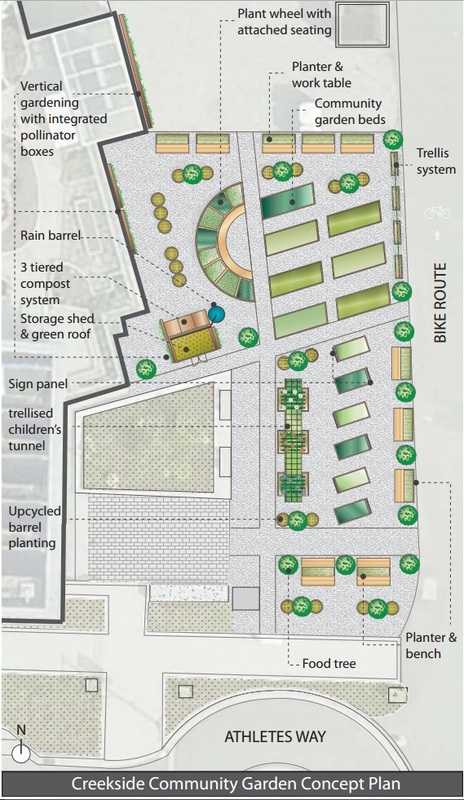 The World in a Garden has developed a proposal for a temporary community garden located near the east entrance of Creekside Community Recreation Centre. 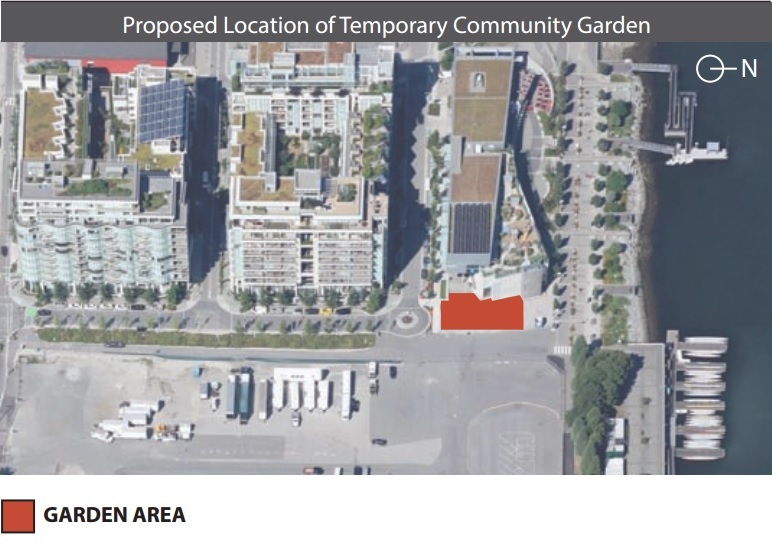 The Vancouver Park Board approved the project on February 17, 2014, after community engagement process that sought input from residents. The new collaborative community Garden at Creekside (ie. Olympic Village) is holding its first build event this Saturday June 14. This garden is collaboration with the city of Vancouver & Vancouver Park Board (approval and start-up funding), the Creekside Community Recreation Center (programming and stewardship), City Studio students (helping design and build the planters), World in a Garden (provided previous support), and the Environmental Youth Alliance (plant list and planning support). Also with the support of local volunteer residents.